The key to success? Model the best. The ultimate key to success is having a clear outcome in mind. What do you want? What is your purpose for trying to achieve this goal? With an outcome in mind, you can then start thinking about the steps needed to get there. You have to take massive action to turn your goals into reality. Although there’s a lot of work you need to do on your own, you should also turn to the people in your life who’ve already achieved success. What can these people teach you? What can you learn from studying their path to success? Success often seems like a gift given to others. What else explains the effortless way they round up achievements while you look on? What is the key to success that they’ve picked up, but you can’t find? The truth is these successful individuals aren’t lucky – they’ve just hit upon a strategy that works for them and are engaging it when they make their decisions. And you can do exactly the same thing, provided you’re willing to put in the work and time it will require. By turning to the successful people in your life and studying their path to success, you can emulate their efforts. Look for someone who is already successful in your chosen field, or someone who has created the kind of life you want to live. There’s no need to reinvent the wheel here. Look into their history and their rise to the top. How did they get to where they are today? What kind of obstacles and setbacks did they face, and how did they overcome them? What are their philosophies about their life and their work? Use this information to build a path that mirrors theirs. No matter what it is you’re after, someone has already beaten you to it. If it’s someone you already know or have a connection to, so much the better. You don’t just have to study them from afar to learn how they found the key to success; you can ask them to share their experiences with you, and perhaps guide you along the path to your own achievements. Understand that their time is valuable and offer a way to add value to their life while they assist you. If this is a friend, it could be as easy as taking them to dinner every month. If it’s an acquaintance, perhaps you’ll take on extra yard work or provide technical assistance. You may also consider hiring a Results Coach to help you along. Those who have succeeded before you have done so because they followed a plan, and you can do the same thing. As Tony Robbins says, “Success leaves clues.” Develop a strategy that works and follow it. Your strategy may be quite similar to what the person you’re modeling it on did, or it may be adjusted for your present circumstances. Modeling is a skill set like any other – it’s something you can learn and improve. 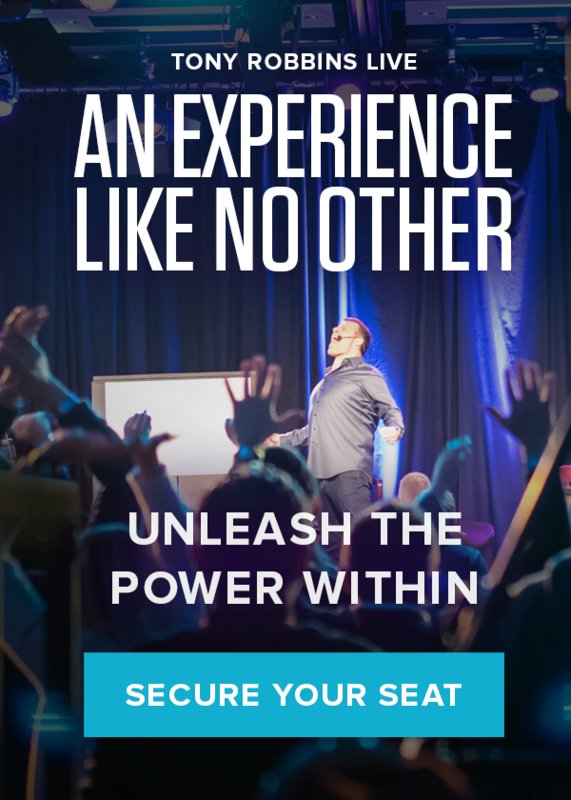 Master it and other proven techniques by committing to a weekend of learning and empowerment at Unleash the Power Within.